Published: May 10, 2014 at 04:03 p.m. 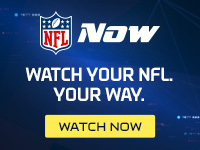 Updated: May 11, 2014 at 01:58 a.m.
NEW YORK -- With the departure of Josh McCown, the Bears were a logical bet to look for a young quarterback in this year's draft. Chicago waited six rounds to pull the trigger, but coach Marc Trestman has unearthed a new pupil to groom in San Jose State's David Fales. The Bears used the No. 183 overall pick to add a passer whom 49ers coach Jim Harbaugh called a top-five prospect at the position, saying of Fales: "I think he sees the field. I think he throws the ball downfield." With 25 career starts at the collegiate level, Fales joined Fresno State's Derek Carr as the only two passers with 4,000-plus yards in both 2012 and last season. Praised for his competitiveness and quick release, Fales' footwork has been cited as an area needing improvement. His arm strength also has been described as "just functional," but those who know him call him a football junkie. The best news of all? After what Trestman did with Jay Cutler and McCown last season, Chicago's coaching staff might have more to offer a passer-in-the-making than any other team in the league. Welcome to Chicago, Mr. Fales.